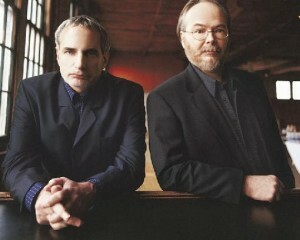 Catch the legendary Steely Dan as they perform their classic album Gaucho in its entirety at the Beacon Theater. Cheap yet not too heavy, Hummus Place serves up surprisingly great hummus in the uptown version of their original downtown location. More a game room for adults than a sports bar, Jake’s Dilemmal offers more than 50 beers to choose from while you can play pool, video games, or foosball. Inspired by Alice in Wonderland, Alice’s Tea Cup is as much for adults as it is for kids. Get one of a vast assortment of teas flown in from around the world here or a gorgeously designed slice of cake. Join American/Brazilian collective Nation Beat for the album release party for Growing Stone. The group plays a 21st century mash-up inspired by Brazilian maracatu drumming, New Orleans second line rhythms, Appalachian music, funk and country-blues. Nearby, Pakistan Tea House is a buffet style Indian restaurant where you can choose between chicken, meat, fish and vegetables. It’s affordable and very good. For drinks, check out Mocca Lounge. With a funky interior and a menu of Italian inspired fare, it’s also a bar with a large list of coffees with or without alcohol, beers, and frozen shots. Smack dab in the heart of Chinatown, the Chinatown Ice Cream Factory makes gourmet ice cream flavors like Black Sesame, Ginger, Durian, and more exotic flavors like Taro and Wasabi. Don’t worry, they have the go-to’s like Vanilla, fruits, and chocolate flavors too. In Xaviar Cha: Body Drama, NY–based artist Xavier Cha incorporates video and installation in performances that play with multiple perspectives and deferred access, reflecting our fractured contemporary experience. For her new work Body Drama, Cha transforms the gallery into a mysterious setting in which an actor performs while wearing a body-mounted camera. In between performances the resulting footage is projected on the wall, offering viewers two versions of the same experience, both of which center on disorienting psychological and physical space. If you’ve got a craving for barbeque, check out Brother Jimmy’s Bait Shack as the ribs, chicken, beef, and pork are all smothered in some amazing BBQ sauce. BB&R, which stands for Blonde, Brunette, and a Redhead is the brainchild of three best friends. What they’ve created is something between a neighborhood bar and a lounge with leather seats in the front and a pool table, photo booth, and video games in the back. Looking more like it came out of Willie Wonka and the Chocolate Factory, Dylan’s Candy Bar is a colorful place to get lollipops, licorice, and all things sugary. Don’t go crazy though, or your sweet tooth might melt here! Jim Henson’s Fantastic World celebrates the internationally known creative genius Jim Henson, whose work encompassed film, television, and puppetry. The exhibition features over 120 artifacts, including drawings, storyboards, and props, all of which illustrate Henson’s boundless creativity and innumerable accomplishments. While Sanford Restaurant has been around for 75 years, you’d never know it with it’s modern décor and its very forward thinking diner fare. Try the Organic Asian Noodle Salad ($14.95) or the Pork Osso Bucco ($17.95) for just a taste of the delicious dishes that this place offers. For a drink, try Café Bar for something surprisingly different. On the outside it looks upscale but inside it’s a funky mix of couches, art, coffee shop, and Ikea-like design making for a super relaxing place for a drink or meal. At Cavo Café Lounge grab some traditional Greek and Mediterranean dishes off the menu and sit inside or outdoors in their Mediterranean themed backyard that is simply amazing.